Michelle Charlesworth shares the story of identical twin sisters who both gave birth on their birthday. NEW YORK (WPVI) -- Two identical twin sisters celebrated their birthday last week by each welcoming new additions to their families hours apart. 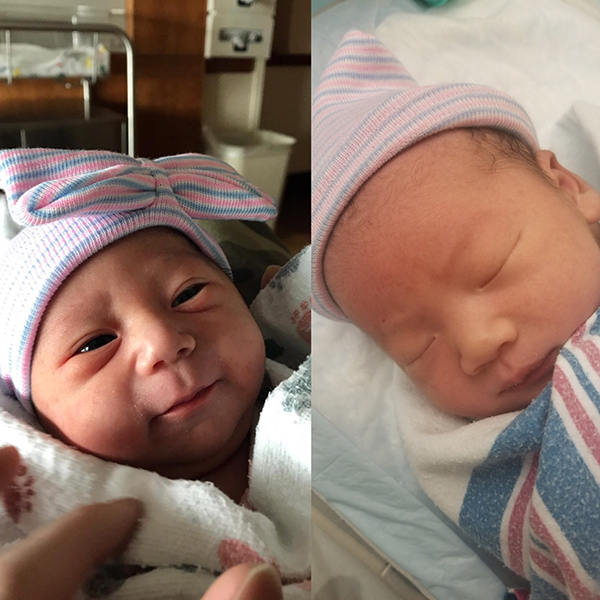 WABC-TV reports, Crystal Rothman and Pearl Yeung, 34, each gave birth to their first child on their birthday, December 9, just seven hours apart. The sisters knew that they might deliver within the same week, but when one sister's water broke on December 8, things got really interesting the next day, their birthday. Crystal gave birth to Sydney Isabel Rothman at 2:45 a.m. at Stamford Hospital in Connecticut. Pearl then gave birth to Oliver Theodore Kuang over 6 hours later at 9:13 a.m. at New York Presbyterian Hospital. Crystal and Pearl communicated and checked in on each other throughout their deliveries through video chat. Both moms and babies are doing well as their families cannot believe how blessed they are this holiday season.